No single home improvement project can have such a significant impact on your home as installing a new roof. Replacement roofing can be a major headache and an ongoing expense, when done incorrectly. Go with an experienced contractor you can trust. Svaras Roofing Inc. offers a full range of residential roofing services, from minor roof repairs to complete replacement of even the largest roofs. Most importantly, we want your experience to be simple, enjoyable and hassle-free. With Svaras Roofing Inc. as your roofer, your project will be completed correctly, on time and within your budget. We know you have many choices when it comes time to select from roofing companies in Chicagoland. To help you make your decision, we’d like to offer some advantages that we feel set Svaras Roofing Inc. apart. Since 1992, we have repaired and replaced over 1000 plus roofs in the Chicagoland area. We are expert roofing installers and we do not use sub-contractors. 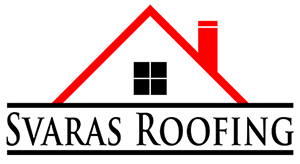 Svaras Roofing Inc. has earned the respect and admiration of our customers by delivering the best quality, craftsmanship and overall customer satisfaction. We truly care about our customers and the quality of roof we build. From shingles to tile to flat roofing, Svaras Roofing Inc. has the product lines and expertise to complete your job correctly, on time, and within your budget. As a certified TAMKO PRO Contractor & OWENS CORNING Preferred Contractor, we can offer you the widest selection of shingle products and styles from the largest manufacturer. We offer the industry’s best product warranties, including lifetime warranties on shingles and siding. The customer already expects their roof done correctly, what they don't expect is everything around the home to get destroyed. We are well trained to protect the home and property from damage and are polite and courteous to all my customers. In addition to improving curb appeal and increasing your home’s worth, a professionally installed roof will give you and your family additional protection from snow, wind, rain, heat and cold.